Oblomov Boblomov wrote: They hope to find out if there's life there within the next decade. When (if) life is discovered anywhere it will feel like such a huge letdown. I know that even finding the most basic microbe will be technically a monumental occasion, possibly the greatest discovery mankind will ever make. But let's face it, if they're not little green men with magic alien powers and technology thousands of years more advanced than ours, it'll actually be a bit rubbish. Speak for yourself! It would be absolutely incredible and the biggest event in living history. Alvin Flummux wrote: Three of the worlds are in the star's Goldilocks Zone. Holy gooseberry fool. We need to get the strawberry float over there. This is amazing. OrangeRakoon wrote: Speak for yourself! It would be absolutely incredible and the biggest event in living history. The biggest event in human history will be Biggleswade getting a cinema. Finding life on another planet and having an interspecies marriage will happen way before we get a cinema. Even if we could get there and colonize the suitable planets there's still the issue that red dwarf stars emit far too much UV light for humans to tolerate. Of course we might have a practical solution to that by the time we are able to realistically get there. Ironhide wrote: Even if we could get there and colonize the suitable planets there's still the issue that red dwarf stars emit far too much UV light for humans to tolerate. Just slap on loads of factor 50. Can you imagine the BBC comments section of an article about the discovery of life on other Planets? Of course, but it at least raises the possibility that we could one day terraform them, to ready them for long-term habitation - if they're not already home to life that depends on entire different atmospheric makeups, of course. Ad7 wrote: Can you imagine the BBC comments section of an article about the discovery of life on other Planets? The Daily Mail will have a page 1 headline "Beware, alien immigrants ready to flood in and use the NHS!". I was listening to Neil DeGrasse Tyson in the latest Joe Rogan podcast and he made a really interesting point that I'd not really considered before - we might find that if mankind eventually has the ability to populate and terraform other planets in other star systems, we will probably never bother to do so. What are the reasons for needing to spread humans about? If we have the technology to travel multiple light years, with ships carrying enough people to start a new civilisation (1,000 people? 10,000? 100,000? 1,000,000? 1,000,000,000? ), terraform another planet and survive there, then we will definitely have the technology to mitigate all of the reasons for having to make the trip in the first place. The only real reason we'll have is just to explore, which probably won't be enough of an incentive for the people putting the money up to fund the expedition. Preezy wrote: I was listening to Neil DeGrasse Tyson in the latest Joe Rogan podcast and he made a really interesting point that I'd not really considered before - we might find that if mankind eventually has the ability to populate and terraform other planets in other star systems, we will probably never bother to do so. We'd have the technology to mitigate all the issues on Earth but we'd still want to spread throughout the galaxy/universe, because that's what humans do, we like to explore and there are always people that want to live somewhere else. If we had amazing tech like that then it will be less of a "gooseberry fool, we have to leave NOW!" motivation and more of a "I fancy living at the other end of the galaxy" motivation. I see your point, but I'm also deeply aware that Neil DeGrasse Tyson has a far superior moustache, so it's difficult. Preezy wrote: I see your point, but I'm also deeply aware that Neil DeGrasse Tyson has a far superior moustache, so it's difficult. 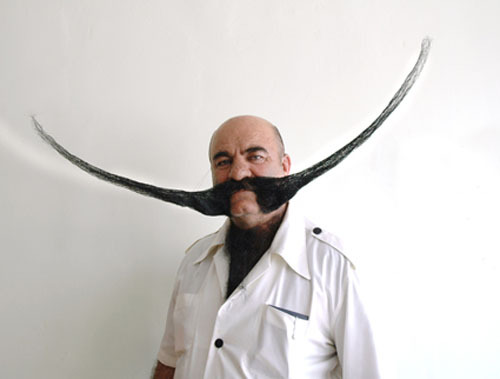 You've no idea how magnificent my moustache is. You could swashbuckle with that thing. Like a Bollywood General Grievous. Basic humanity will never go much beyond earth. Evolution simply has not equipped us with the ability to survive anywhere else for an extended period. No way a normal human today would survive more than a few minutes on an alien planet even if it did support life. The pressure / oxygen / heat levels would probably be too low or high for our tolerances, the air could contain things that are toxic to us or the radiation there could be too extreme. In other words, even if you found a nice alien world filled with plants and animals you would be insane to go there without an environmental suit. IMO, only 'posthumans' will be able to travel to and in other solar systems, meaning virtualised minds inhabiting more durable machines or product of extreme genetic engineering to make us able to tolerate the conditions on alien planets. I do feel that the human race as we know it today will be very different in the next millennium (assuming we don't wipe ourselves out before then) as we begin to understand gene manipulation and/or cybernetics it will be inevitable that certain groups of individuals will modify their bodies in order to explore exoplanets such as those recently discovered. Won't we want to look elsewhere to live for when the Sun is many times more luminous than it currently is/gobbles Earth up? The result of this process has been a steady increase in the energy output of the Sun. When the Sun first became a main sequence star, it radiated only 70% of the current luminosity. The luminosity has increased in a nearly linear fashion to the present, rising by 1% every 110 million years. Likewise, in three billion years the Sun is expected to be 33% more luminous. The hydrogen fuel at the core will finally be exhausted in five billion years, when the Sun will be 67% more luminous than at present. Thereafter the Sun will continue to burn hydrogen in a shell surrounding its core, until the increase in luminosity reaches 121% of the present value. This marks the end of the Sun's main sequence lifetime, and thereafter it will pass through the subgiant stage and evolve into a red giant. By this time, the collision of the Milky Way and Andromeda galaxies should be underway. Although this could result in the Solar System being ejected from the newly combined galaxy, it is considered unlikely to have any adverse effect on the Sun or planets. One of the explanations for the Fermi paradox I have come across is that as soon as they are able the majority of any advanced civilisation upload their minds and live virtual paradise, rather than deal the wants needs and mortality of physical existence. All the most advanced civilisations don't really care about physical reality that much; they are busy building endless dream worlds by converting matter into transistors and powering them off their suns. In short, once you are sufficiently advanced, the need to expand by moving bodies, crossing thousands of light years and terraforming planets seems horrendously wasteful and time consuming when you can just create anything you want in virtual space simply by adding enough processing cycles. Meep wrote: One of the explanations for the Fermi paradox I have come across is that as soon as they are able the majority of any advanced civilisation upload their minds and live virtual paradise, rather than deal the wants needs and mortality of physical existence. All the most advanced civilisations don't really care about physical reality that much; they are busy building endless dream worlds by converting matter into transistors and powering them off their suns. In short, once you are sufficiently advanced, the need to expand by moving bodies, crossing thousands of light years and terraforming planets seems horrendously wasteful and time consuming when you can just create anything you want in virtual space simply by adding enough processing cycles. Surely that falls into the trap of believing that if it's something we would do, then other civilisations would do it? Our priorities and capabilities would almost certainly not align with another civilisation. Other may not default to the path of least resistance, and may instead choose to expand their physical horizons. Xeno wrote: The chance is infinitesimally small but if there was life of a similar level to us think of the possibilities, 80 years for a chat. Within the a single lifetime we could send a message and possibly receive a reply. Yes 80 years is a long time but the possibility of receiving extra solar dank memes. Isn't 40 light years thousands of years? A light year is the distance that light travels in one year. If we are communicating at light speed, then it would take 40 years for our signal to reach them and another 40 years for us to receive their reply. With current technology (of course we might invent faster ships if we were actually going to do it!) it would take us around 30,000 years to physically travel one light year, so for us to reach them to shake hands we would be looking at 1,200,000 years. Which is the same age as your mum. I also know that a light year is a measure of distance, wasn't sure how it converted to years. So I was right, a fuckton of years travel away. So while it is interesting, chances are we (as humans) will never be able to get to it. Which is a damn shame.